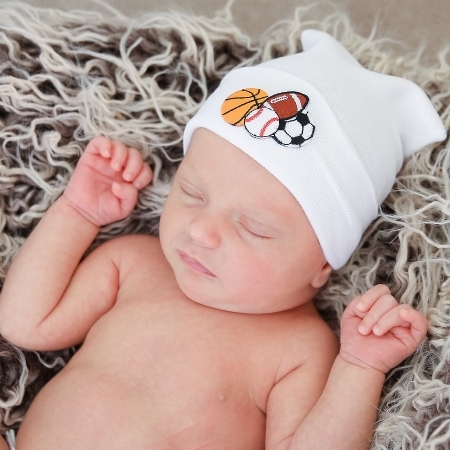 Our caps are made of high quality 2-ply material to help keep your newborns warm and comfortable all day long. The baby boys in your birthing center will look adorable in their first family photos with these one-of-a-kind caps. These caps make the perfect give away all year long.